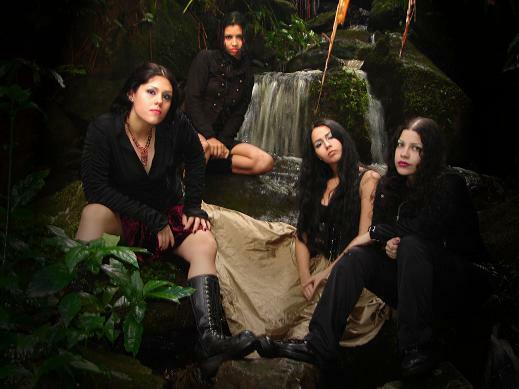 Matriarch started out in January of 2002 in Puerto Rico; influenced by various styles of music: metal and not metal. Shamara (drums) and Ara (guitar and low vocals) decided to start a band, not only a band; a female death metal band, something not typical or overdone. After a couple of months, Michelle ex-keyboard player joined, who also did the vocals on one of the songs on the “Black Apples” demo: “El Ultimo Viaje.” Later, Vanessa came on board as another lead guitarist and she came with an essence of what you can call the voice of temptation her soprano vocals. Everything was working great yet at this point the band was still without a stable bass player. They ran through some hard auditions until they found Isabel. Isabel not only does the duties of the bassist but she also is another singer but doing the grim vocals, she made the band instead of having 2 front women have 3, what could be described as the perfect combination. Once the line up became stable, the band got in the studio, and unfortunately like many times in this scene, the production of an album or a demo becomes a headache. 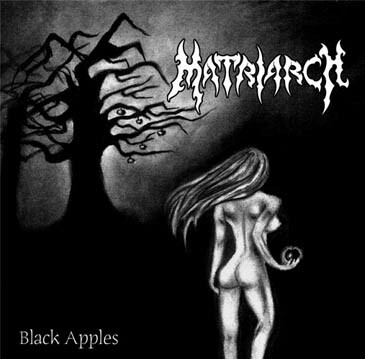 “Black Apples” was not an exception. With the help of some friends from the scene, the demo finally came out, after some gruesome delays. The production of the demo was not 100% adored by the band but it showed the steps of Matriarch and later paved the road to “Sinful Decadence.” In 2003 they were invited to play in the Tattoo Festival at Tropimar Beach Club, an important convention that is celebrated once a year in the island. The next two years (2004 and 2005) they participated as well. In May of 2004, after several differences, Michelle got executed from the band. In the beginning, the band was trying to get a keyboardist, but that was just a dream of the past. Some time passed and the band spread their demo worldwide. Matriarch’s website was birthed and emails from all over including: the US, Europe, Asia, etc, filling their page with support for the band. At the end of 2004, the band recorded the single “Sinful Decadence”, which showed the progression and the path the band was tacking. Following this they got invited along with Mortician in a Metal Maniacs mini tour, which featured Incantation, Arsis and The Chasm. The band continues playing and writing some new songs, they went back to Florida in March 2006, this time playing in Orlando and Tampa. In the summer of 2006 the guitar player and vocalist Ara left the band. On September the band started recording their first album “Revered unto the ages”.